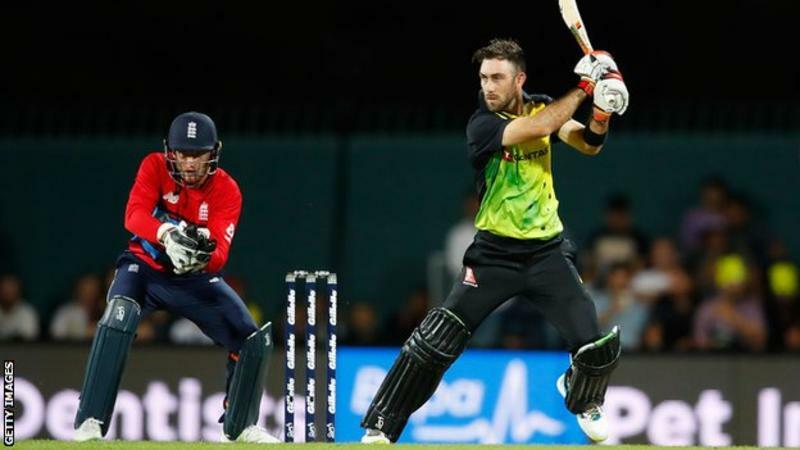 Glenn Maxwell hit a sublime unbeaten 103 after taking 3-10 to give Australia a five-wicket win in England's opening game of the Twenty20 tri-series. Set 156 to win in Hobart after Dawid Malan made 50, the hosts fell to 4-2 in the first over as David Willey removed David Warner and Chris Lynn. D'Arcy Short, who made 30, and Maxwell rebuilt with a stand of 78. 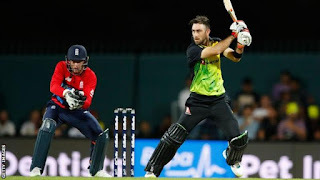 Maxwell kicked on despite further losses, winning the game and bringing up his 58-ball hundred with a six. Australia, who won with nine balls to spare, have won their opening two games of the tri-series following victory over New Zealand on Saturday. England face Australia in Melbourne on Saturday at 08:20 GMT.